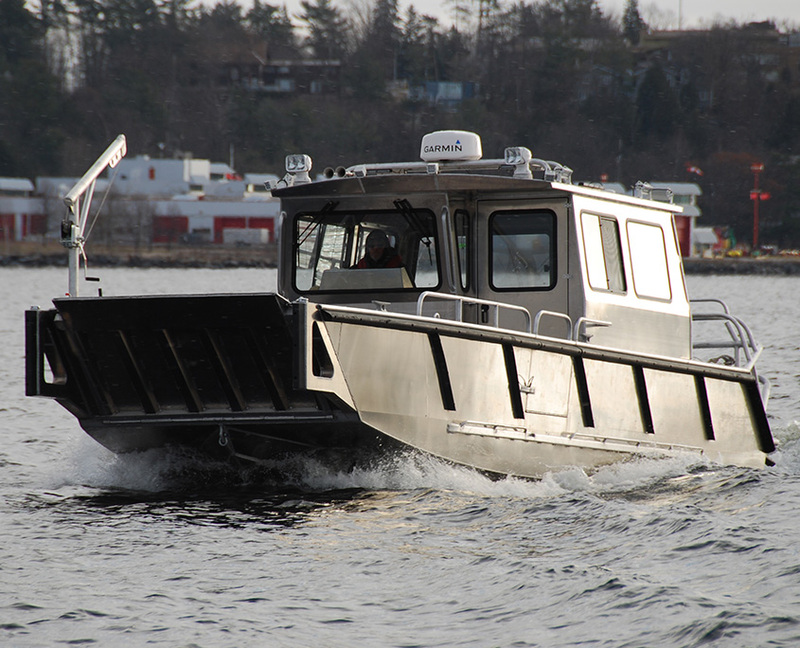 The Stanley 32’ High Speed Rescue Landing Craft is multi-purpose, designed around emergency response that may require transport and possible shallow water landings. It is also a combination vessel that can be equipped with a pump for those agencies that need marine fire fighting capabilities, with or without foam. EMT’s and paramedics can be accommodated with optional lockable dry stowage, Stokes basket stowage, oxygen ports, and more. An excellent platform for dive teams, this Stanley is also offered with optional bottle racks, underwater lighting, side-scan sonar, and night vision. Customization for scuba compressors and hot water dive heaters is also available. Stanley custom-builds every commercial boat to customer’s specifications. We need to elaborate on all the items in our Commercial Sales Quote, as a minimum, before proceeding with a no obligation quote. During business hours you may also reach us by phone.